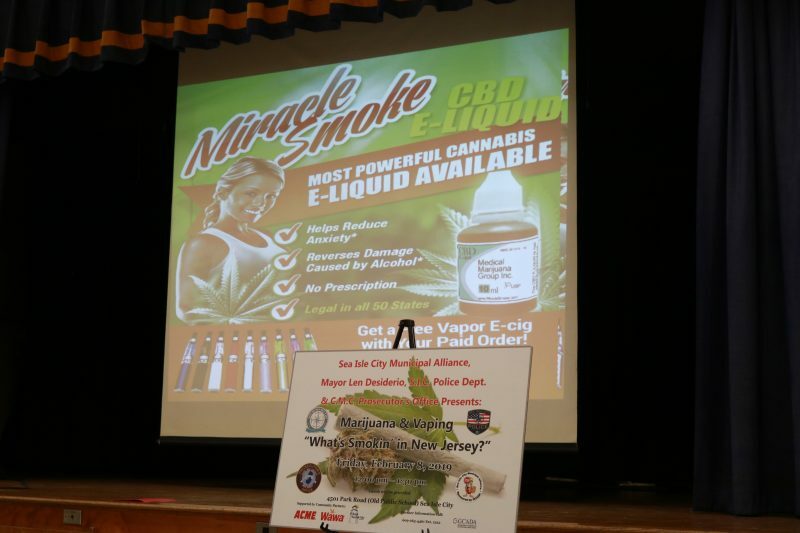 Retired DEA Agent Doug Collier gives attendees at the “What’s Smokin’ in New Jersey?” symposium some startling information about vaping and marijuana use. A teenager suffers second-degree burns on his face. His throat is scorched. He is in terrible pain. 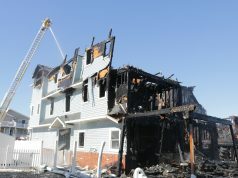 The injuries were caused by an electronic cigarette that exploded in his face. An 8-year-old boy is rushed to the hospital because he got his hands on an electronic cigarette or E-cigarette. He puffed on it to the sounds of adults giggling in the background. The child suffers from toxicity from a high level of nicotine in his system. The “Miracle Smoke” ad promoting cannabis as an added ingredient in E-cigarettes stunned some audience members. 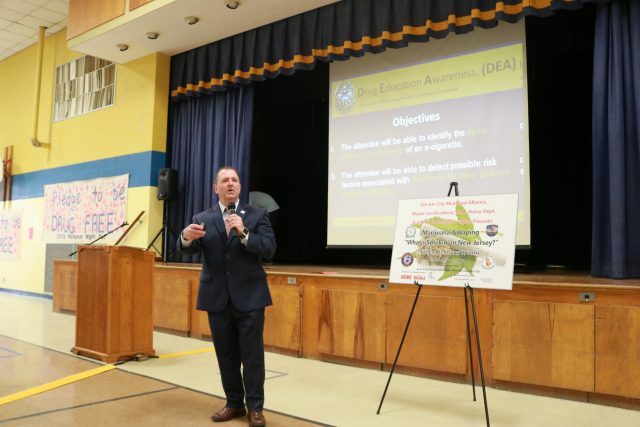 The event, hosted by the Sea Isle City Municipal Alliance, Mayor Leonard Desiderio, the Sea Isle Police Department and the Cape May County Prosecutor’s Office, was held at the former school, located at 4501 Park Road in Sea Isle on Friday. 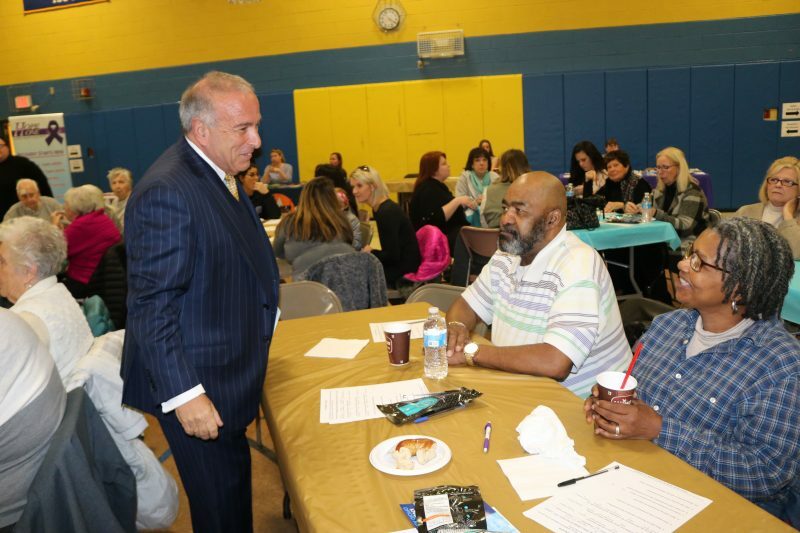 Desiderio, who is also a Cape May County freeholder, looked around the room prior to the start of the program and smiled. Collier, who teaches criminal justice at Monmouth University, warned the crowd that the children, especially teens, are in trouble. Vaping is a newer phenomenon and research shows it can be just as dangerous as regular cigarettes, and it is gaining popularity among young people. “Our kids are in the danger zone,” Collier said into the microphone as he walked around the room and engaged the audience. Doug Collier speaks with audience members. Education and prevention are the keys to a healthier, more aware, society, Collier said. Collier explained how vaping, especially for young people, is especially dangerous because their brains are still developing. Collier also warned of what he called a “game-changer,” when young people add marijuana or synthetic drugs to E-cigarettes. 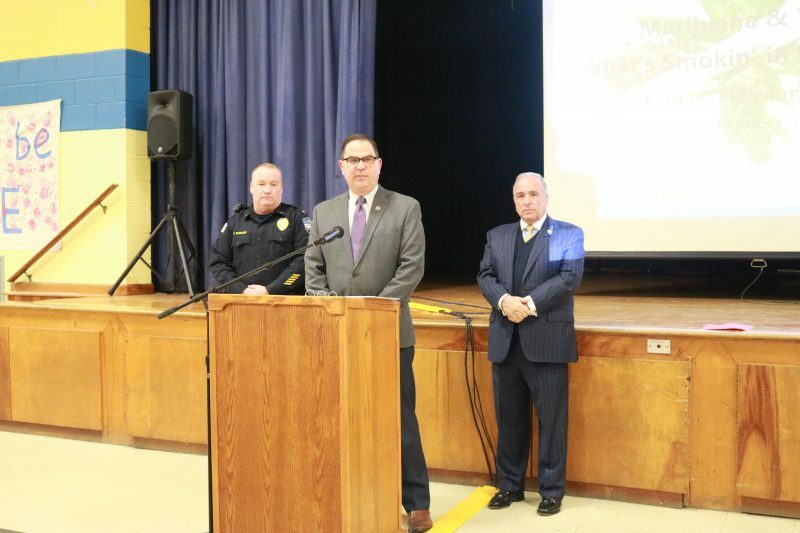 Several officials attended the program, including Sea Isle City Police Chief Tom McQuillen, Cape May County Prosecutor Jeffrey Sutherland, Cape May County Freeholder Director Gerald Thornton, Freeholder Jeffrey Pierson and Freeholder E. Marie Hayes. Sea Isle Councilman Bill Kehner and former Sea Isle Mayor Michael McHale were in the audience. 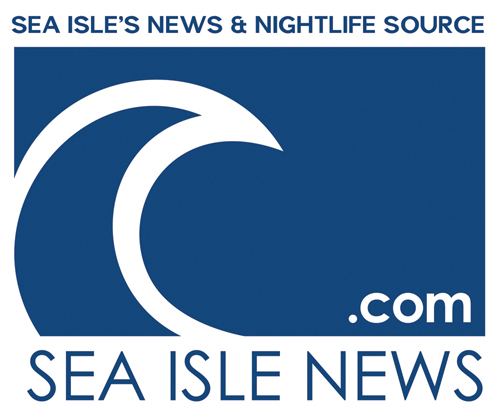 Sea Isle’s AARP Chapter 710 President Frank Roach, who is a Municipal Alliance Committee member, called on all the seniors he knows to attend the program. He said more than 65 AARP members from Sea Isle gathered in the room to hear what Collier and other officials had to say. Roach said the audience members learned valuable information about the ill-effects of vaping and some of the issues coming about with changes in laws for marijuana use. Cape May County Prosecutor Jeffrey Sutherland, middle, with Sea Isle Police Chief Tom McQuillen, left, and Mayor Leonard Desiderio. Eileen Boltz, a grandmother who lives in Sea Isle, called the symposium very informative. “I learned so much about the dangers of teenagers vaping. I have grandchildren and I am now more aware about vaping,” Boltz said. She added that when it came to the potential legalization of the recreational use of marijuana in New Jersey, she has real concerns. “They talk about how it will be made legal and I am really concerned. There are real dangers to this,” Boltz noted. 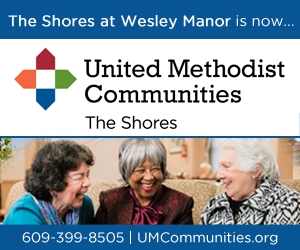 Callatta Goolsby and Larry Jones, fellow AARP members of the Woodbine chapter, attended the program because they were curious to learn more about the topics. “I wasn’t sure what vaping was,” admitted Goolsby. Jones said he was not opposed to the legalization of marijuana for recreational use, so long as it is not abused. Mayor Leonard Desiderio speaks with Larry Jones and Callatta Goolsby of the Woodbine AARP chapter. Others in the audience, including the freeholders, said they had some real concerns about the status of vaping and marijuana in society. Thornton cautioned of the dangers of potentially legalizing marijuana for recreational use. “Every state that has legalized marijuana, there have been significant problems,” he noted. 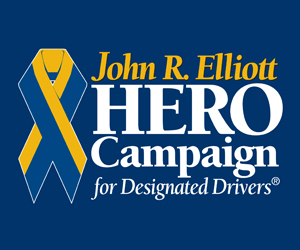 Thornton said that states that legalized marijuana have seen the number of drivers under the influence increase. Both Thornton and Pierson agreed that it would add another layer to enforcement since there is no breath test for marijuana. 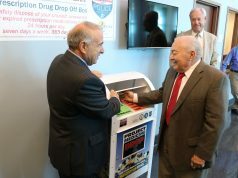 Law enforcement officers would need to be trained in drug recognition testing. That would mean new hires and state oversight, they said. “Do we jeopardize public safety for funds?” Thornton asked, referring to additional tax money that would be made through marijuana dispensaries if it was legalized in New Jersey. “It just doesn’t make sense,” Pierson said. 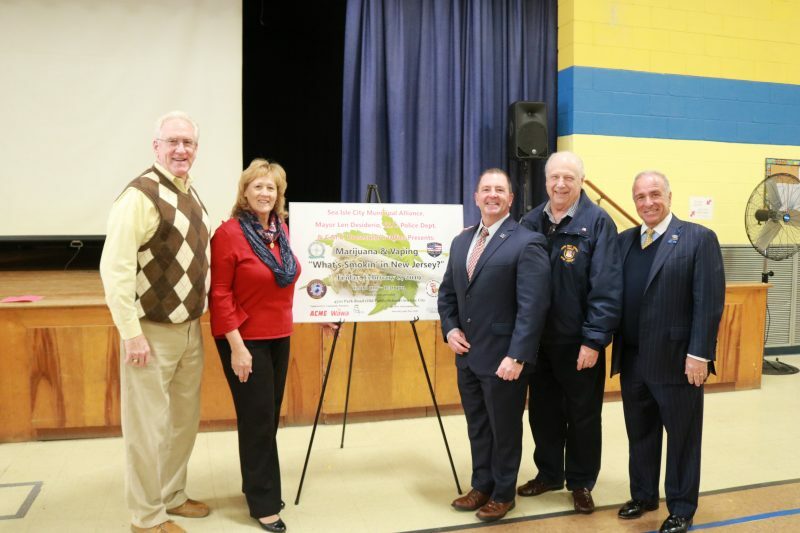 Cape May County Freeholders Jeffrey Pierson and E. Marie Hayes with retired DEA Agent Doug Collier, Freeholder and Mayor Leonard Desiderio and Freeholder Director Gerald Thornton stand in front of a sign promoting the symposium. 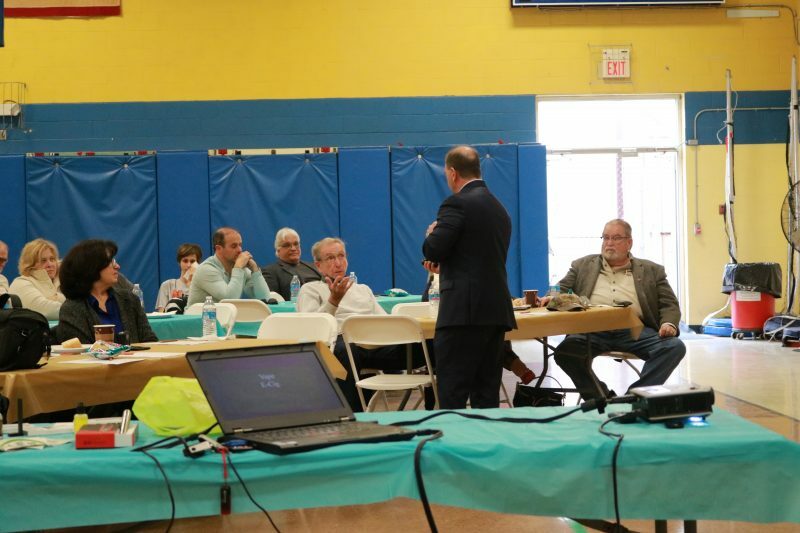 The goal of the program was all about community outreach, officials emphasized. Sutherland said having Collier educate the audience helps Cape May County residents gain an understanding about the dangers of vaping. Police Chief McQuillen echoed Sutherland’s sentiments, saying it is all about education. Previous articleAuthorities Investigate Dead Dog Found in Trash Can in Upper Twp.